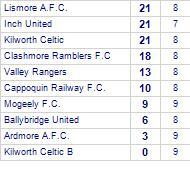 Lismore A.F.C. 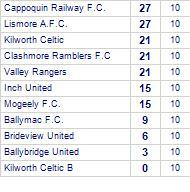 's last game was a confident 0-3 win away against Kilworth Celtic B. They have won 3 out of 4 away games.